A giant, raucous democracy, India is now the world’s third largest economy in purchasing power parity terms. Yet it was only when an economic crisis struck in 1991 that the country embarked on a series of tough reforms. By 1993, the government took several bold decisions that nudged the country toward an open and liberal free market economy. In “India Transformed: 25 Years of Economic Reforms,” 31 of India’s top business leaders and economic luminaries provide a balanced picture of the consequences of the reforms initiated in 1991. What were the reforms? What were they intended for? How have they affected the overall functioning of the economy? 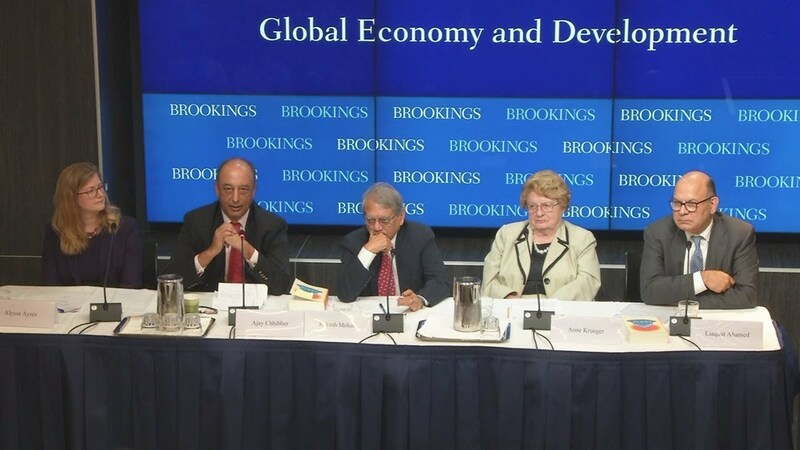 On Tuesday, October 16, the Global Economy and Development program at Brookings hosted the D.C. launch of “India Transformed.” The book’s editor, Rakesh Mohan, a former deputy governor of the Reserve Bank of India and IMF executive director for India, provided an overview of the book, then joined a panel discussion moderated by Liaquat Ahamed. Experts with insights on the country’s security, political, economic, and development challenges reflected on India’s track record of reforms and its potential as a rising emerging market power. After the discussion, the panelists took questions from the audience. Investment manager and author of Pulitzer-winning best seller "Lords of Finance: The Bankers Who Broke the World"